physical, spiritual and mental health. Her love of animals led to the creation of two cutting-edge programs, "Pets Healing People" and "Help Kids Heal", which became the basis of her work in Pet Therapy. For the past 20 years, Sharon has used her expertise with animals to help both pets and people live better lives. Like most pet lovers, you are probably concerned about leaving your pet in unfamiliar surroundings when you are away from your home. Our professional pet sitters provide your dog, cat, and/or other pets the care they need while you're away — right in your own home! Our staff truly has a passion for animals. 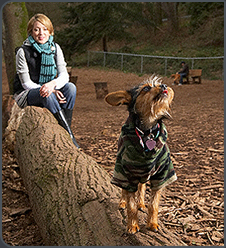 We are dedicated to providing quality pet care and our top priority is your pets’ well-being and your peace of mind! For your protection, all pet sitters are Bonded, Insured and Red Cross certified in Pet First Aid and CPR. 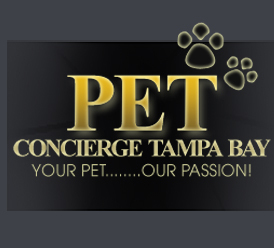 Pet Concierge Tampa Bay is a proud member of NAPPS – "The National Association of Professional Pet Sitters."